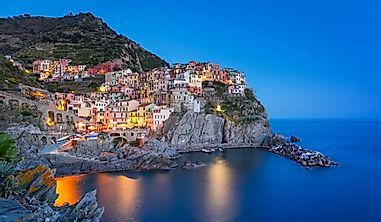 From the Amazon to the Andes to Patagonia to oceans on all sides, the South American continent has a dazzling display of fauna throughout its expanse. 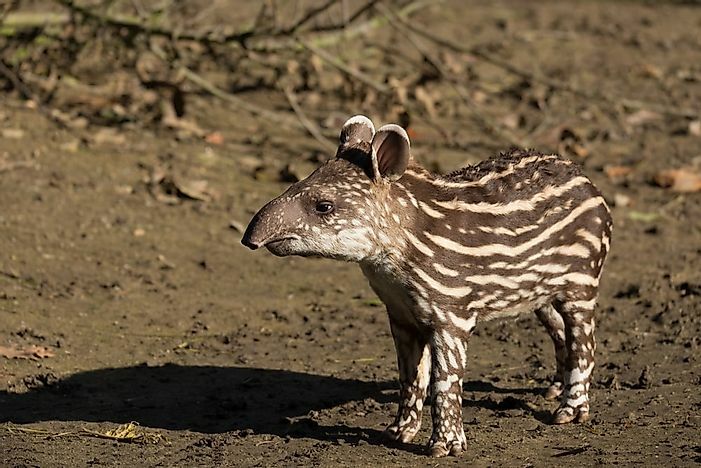 An infant tapir in South America. 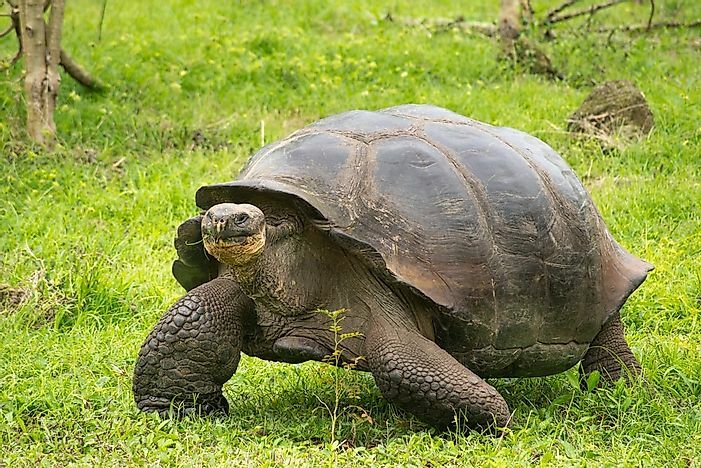 The Giant Galapagos Tortoise, also known as the giant tortoise, and is one of the largest living species found in the Galapagos Islands. Their weight can reach up to 500 pounds and they can grow to a staggering height of five feet. The tortoises found in the humid highlands tend to be larger in size, and have domed shells and short necks. 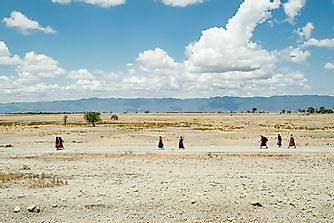 On the other hand, in the dry lowlands, they are smaller in size, have saddle-backed shell shapes, and have longer necks. The tortoises with saddle-backs are mostly found in the dry islands, where it is hot and sparse kinds of vegetation lived, whereas the Domed-shelled tortoises are said to be found in the areas with lush green vegetation and cooler places. They are mostly seen soaking themselves in the sun to receive warmth, and when the temperature goes down they are found to be sleeping in mud or water to keep them insulated. 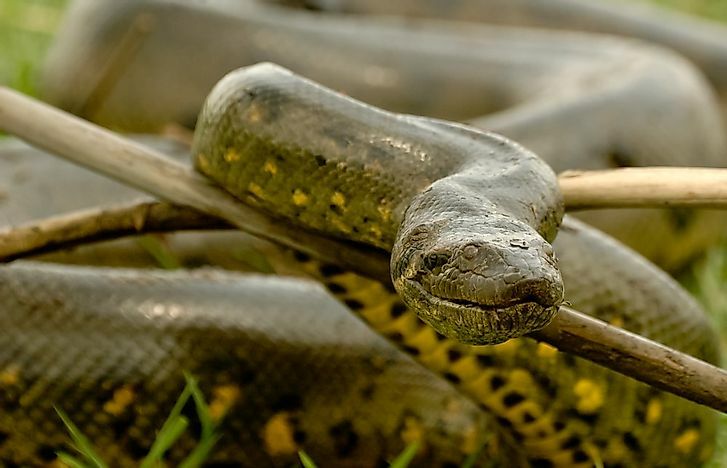 The Anaconda is found in the tropical areas of South America, and is said to be the second longest snake in the world by length and the largest in the world by weight. These snakes' lengths reach, on average, up to 3 to 4.5 meters, though can reach much longer spans. They belong to the Boa family, and are said to be heavy in body structure. Anacondas belong to the super-order of “Squamata”. They are green in color with black blotches that cover their lengths. Their heads are narrow in shape, and their eyes are set high upon their heads. The Anaconda is a nocturnal reptile, as they are mostly found at night. Given that they are not venomous, their prey is killed mainly by way of constriction. The Capybara is the largest rodent in the world, and is found in the areas of savannas and dense forests of South America. The animal has a heavy and barrel-shaped body, with their fur is a reddish brown color. Their underside is yellow-brown in color. Their length is around 4 feet, and they have 62 centimeter long tails, and a body weight of 66 kilograms. 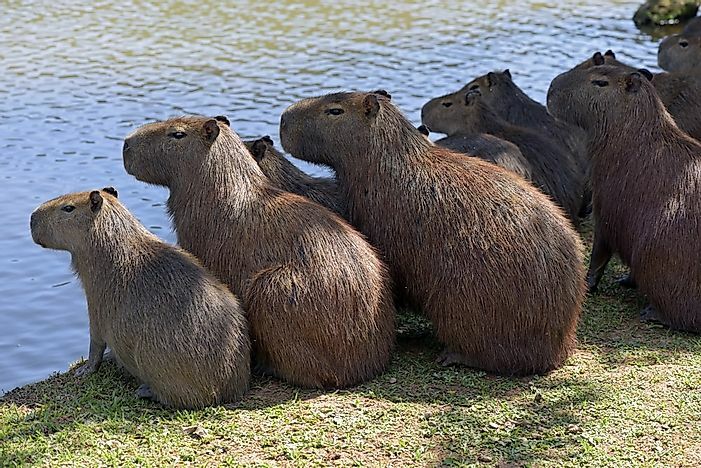 Other features of the capybara body are webbed feet, longer hind legs, three toes on the rear and four on the front feet, and vestigial tails. They have a dominant male in each group who possess a distinct scent, and communication is done through purrs and whistles. They generally nap throughout the day and graze throughout the night. This marine mammal is mostly seen in Antarctica, but for breeding it will visit the coasts of Brazil, Chile, and Argentina, as well as South Africa. 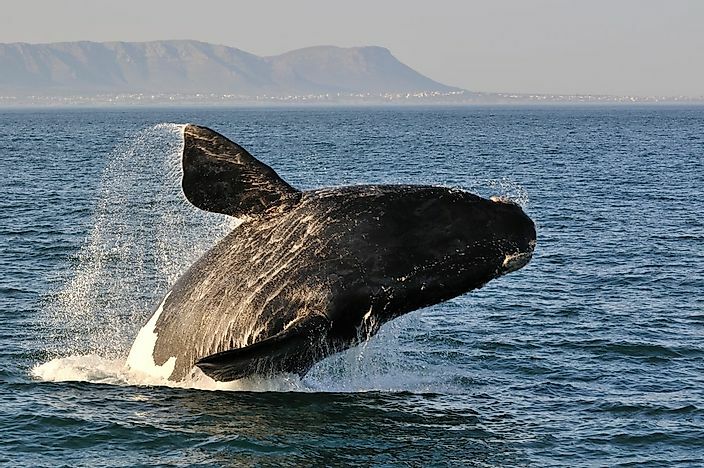 The Southern Right whale is usually seen with callosities on the head, a broad back area, no dorsal fin, dark grey or black skin, and an arch-shaped mouth beginning above the eye. They get attracted towards human populations and are active in the water, and return to their birthplaces after every 3 years. 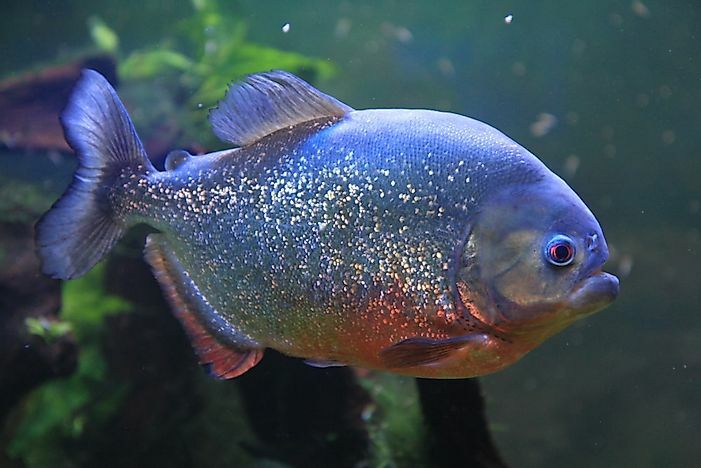 The Piranha is an omnivorous fish found in the fresh waters of South American rivers. Specifically, they are found in the Amazon Basin and the Orinoco River. 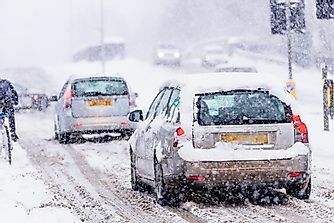 Their lengths can range from 26 to 43 centimeters. They have sharp teeth which are found in both jaws. These tightly packed teeth form one of the strongest bites in the animal kingdom. However, despite popular belief, piranhas are actually quite shy and not typically very aggressive towards humans. 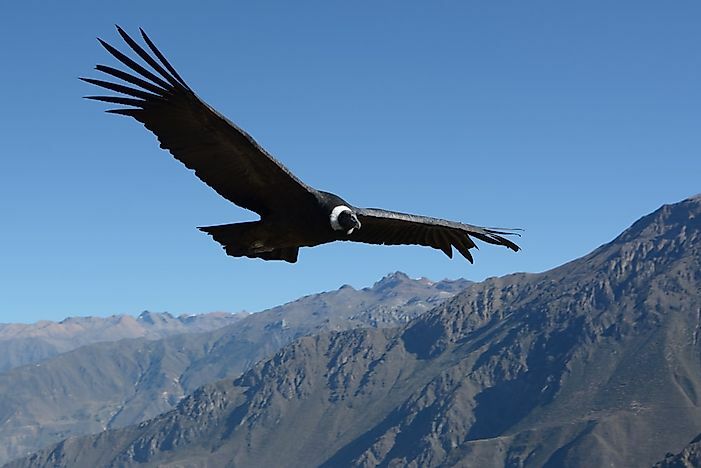 The Andean Condor is found in the Andes Mountain, and is said to be the largest flying bird found in South America. 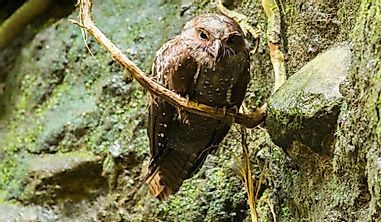 The areas these birds inhabit are found in Venezuela, Peru, and Chile. The Andean condor is mostly found in the areas at an altitude of around 5,000 meters with open grasslands. Their weight is said to be around 15 kilograms, with a body length of 4 feet and a wingspan of around 10 feet. The Andean Condor is known to take long flights. Uniquely no flapping of the wings is done in higher altitudes where gliding is possible. The Andean condor communicates through pecking and varied vocalizations. 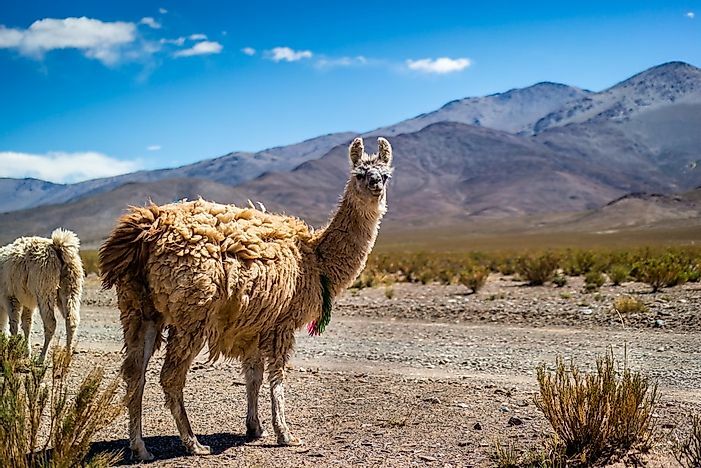 Llamas are found in the wild in the Andes Mountain range, as well as in the form of domesticated livestock in many areas of the Americas, Australia, and Europe. They live in higher altitude areas in the wild, and are found in abundance in Bolivia. Their height is around 5.9 feet to their head tops, and their weight can reach 200 kilograms. They are intelligent and they learn quickly, and are curious, socialized, and use humming as a communication form. Caimans mostly inhabitant the areas of Central and Southern America. They are part of the Alligatoridae family. Some of them are seen in Brazil and Mexico, where they live along the river edges. 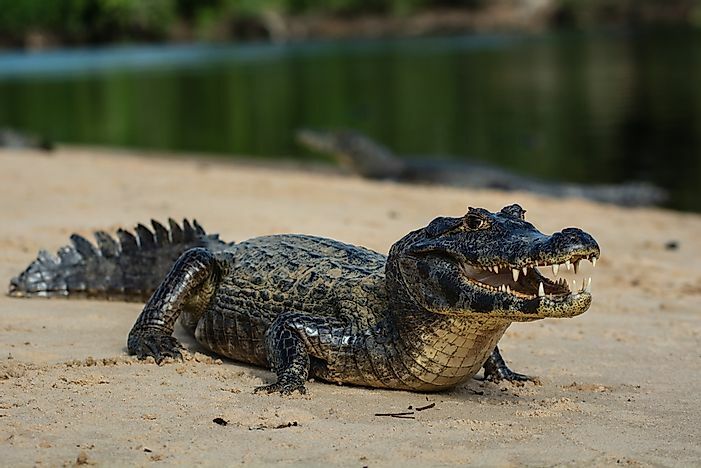 They average around 3 feet long, and the largest of them is the Black Caiman. Their features are ventral armor with bony scutes, slender teeth, and a bony septum. They remain alert while hunting, and radar is used to locate water so that they can find the basins if any case presents wherein their current basins dry up. 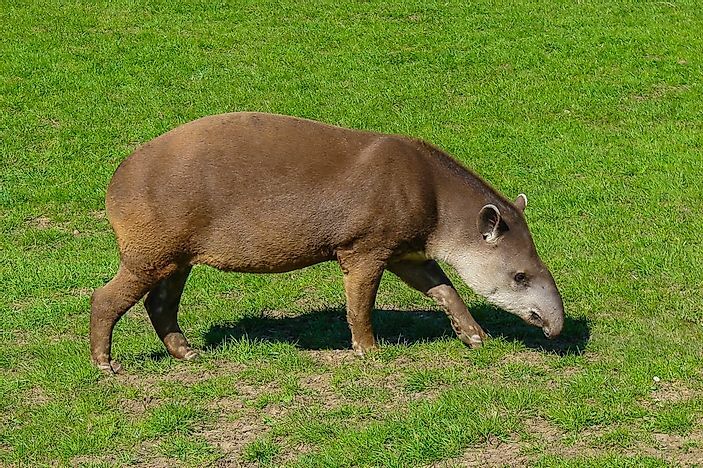 South American Tapirs are mostly found in the forest regions of Central and Southern America, especially in the Andes Mountains of Peru. 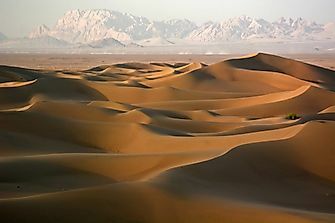 Related species are also found in some Asian countries. They average around 6 feet long, 3 feet high, and their weight is around 300 kilograms. The coat is generally black or grey, and they possess stubby tails, hoofed toes, and white-tipped ears. They spend most of the time underwater, usually cooling themselves off and swimming. They seem to enjoy sinking to the bottom bottom of the water and remaining submerged for a time. 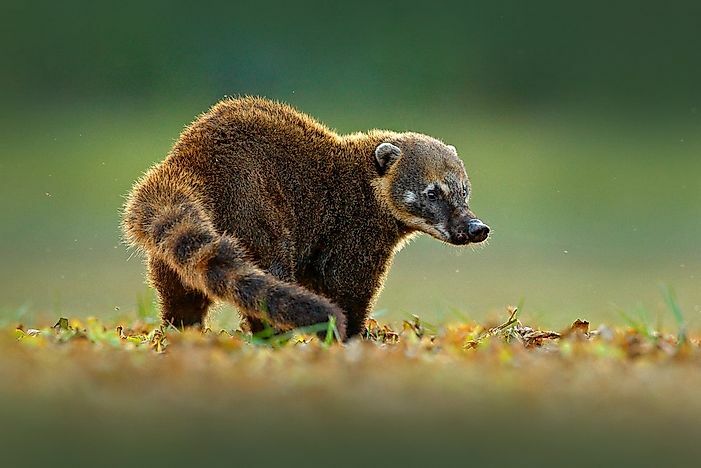 The Coatimundi (or Coati) is related to the raccoon family, and is mostly found in South and North America, especially in Mexico and Peru. 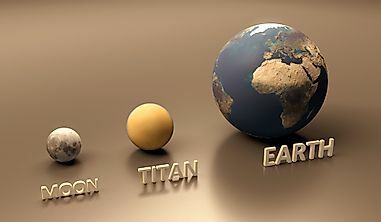 They are usually 127 centimeters in length, and they weigh around 11 kilograms. The color of their body is reddish or yellow-brown, and in some cases it is found to be black. A social creature, it lives in large groups. However, males join the females only during the breeding season, and communicate through grunting or snorting.